Are you looking for a few stocking stuffers for a vodka drinker? We have listed several gift ideas for vodka drinkers below. We will continue to add more gift ideas for vodka drinkers this month as we are leading up to the holiday season! Be sure to check out some of our previous posts as well on sneaky flasks, crystal vodka chilling sets, Crystal Shot Glasses, and much more! Today’s stocking stuffer gifts for vodka drinkers post is about ice ball molds. This inexpensive gift idea will be perfect for the vodka drinker you are shopping for! Additionally, these ice sphere makers can also be used with other spirits such as whisky. We have listed several of our recommended ice ball mold gifts below. These make great gifts and many of them are under $10! 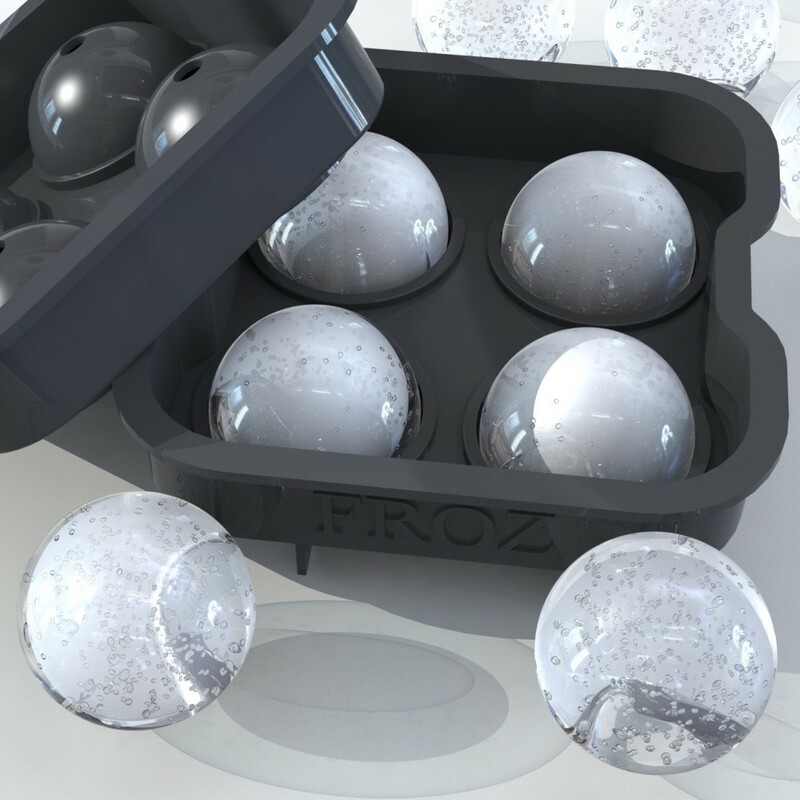 Premium ice ball mold maker creates 4 slow melting ice balls. Keep your vodka cold without diluting it too much with water! These are also a conversation starter at parties! Affordable! These make a great gift for vodka dinkers and are very affordable! Safe food-grade material; FDA Approved; BPA Free;A cool gift for holidays, christmas, father or mother day and birthdays. Surprise your best friend, him or her, with this present. Buy this perfect gift for your new mom or dad.This unique gift can be for men and women likewise and can be part of your barware set and bartender supplies. 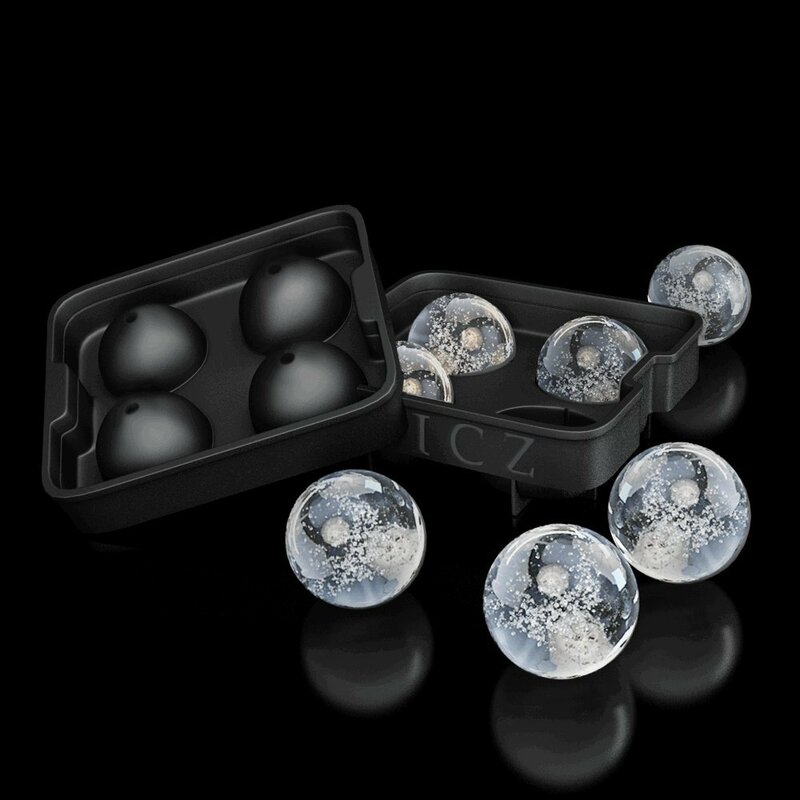 4 x 4.5cm Ball Capacity Tray Creates Slow Melting Ice Spheres that are Perfect For Vodka, other spirits, and even non-alcoholic drinks! Freezes pretty much anything! Great for Parties, Summer, Restaurants, Bars, Entertaining in the home, Holiday Entertaining and Holiday Gifts. Makes four stylish, elegant looking ice balls at a time and releases easily from the silicone ice mold tray without cracking. Dishwasher and Microwave Safe – makes it easy to clean and reusable. FROZ Sphere Ice Mold is gorgeous, has professional-grade quality with leak-proof design that makes perfectly seamless ice balls!